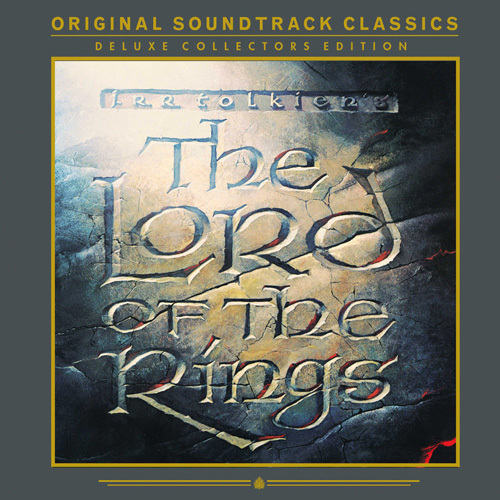 Composer Leonard Rosenman wrote one of his most colorful and ambitious scores for the original Lord of the Rings film, the animated one directed by Ralph Bakshi in 1978. Fantasy Records is reissuing the original 2-LP set on 180-gram vinyl, and in a lavish box loaded with extras (the movie poster, a map of Middle-earth, animation cel, lobby card repro, etc.). I was honored to be asked to contribute a new essay about Rosenman, just part of a giant new 16-page booklet to accompany the set. Definitely one for the collectors, and very likely to sell out quickly. This entry was posted in Composers, Film Music and tagged Animated Lord of the Rings, Fantasy Records, Leonard Rosenman, Lord of the Rings, Ralph Bakshi on September 1, 2015 by Jon Burlingame. The L.A. Times asked for a piece linking Wagner’s 19th-century leitmotifs with today’s film music, notably that of Williams (in the Star Wars films) and Howard Shore (in the Lord of the Rings trilogy). It was an offbeat assignment that put me in touch with scholars who shared interesting perspectives. This entry was posted in Composers, Film Music, From the Files and tagged Doug Adams, Elliot Goldenthal, Franz Waxman, Howard Shore, John Mauceri, John Williams, Lord of the Rings, Los Angeles Times, Richard Wagner, RIng Cycle, Star Wars on June 17, 2010 by Jon Burlingame. I am very proud of this one. This L.A. Times story was the first mainstream-press piece to call wide public attention to the immense accomplishment of Howard Shore in composing the score for Peter Jackson’s The Lord of the Rings. I delved deeply into the orchestral and choral details of the music for Fellowship of the Ring, interviewed both Shore and Jackson, and then broadened the story to include Shore’s earlier collaborators, David Cronenberg and Jonathan Demme. Of course Howard would eventually win three Oscars for his work — but this was the very beginning of a multi-year, multi-film odyssey that continues today. This entry was posted in Composers, Film Music, From the Files and tagged David Cronenberg, Fellowship of the Ring, Howard Shore, Jonathan Demme, Lord of the Rings, Los Angeles Times, Peter Jackson on December 18, 2001 by Jon Burlingame.